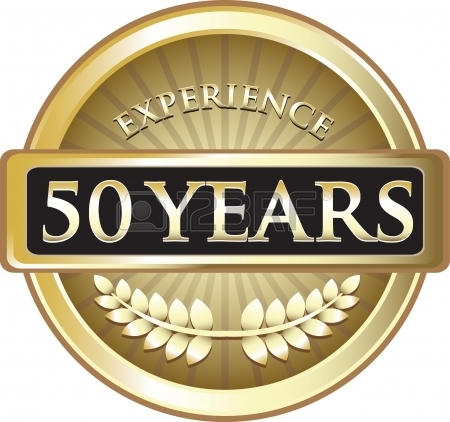 Our team has over 50 years of combined experience when it matters most. There is no one exactly like you. You deserve a customized approach. We listen first to understand your goals for today and tomorrow. We'll walk with you on life's journey and be there as the path changes. Whether you are planning for retirement, a child’s college education, a new business opportunity or if you are just starting out, Garretson Financial can assist you in reaching your goals. Our firm specializes in portfolio wealth management – developing long-term investment strategies for our clients. When it comes to your financial plan, experience matters, and we have over 50 years of experience in the financial industry. Your financial objectives are as individual as you are. Investing for life takes a disciplined approach. A portfolio is often the primary tool that allows you to enjoy life on your terms. Our approach to identifying your financial objectives is based on a solid foundation of disciplined steps and procedures. and every moment in between. At Garretson Financial we offer a fee based, asset management service that provides the convenience of bringing your investments together within one coordinated portfolio. For many people, thinking about retirement can be overwhelming. Am I saving enough? When you are starting a new job or getting ready to retire, you'll have to make a decision about your current 401(k) retirement plan. Many families pay more for college because they were either misinformed or uninformed about the College Financial Aid process. You take care of your family, your friends, your business, and your bills. You control your life with grace and precision. John Garretson founded Garretson Financial in 2004. John is a graduate of Michigan State University with a B.S. in Engineering. He began his career in the financial industry as a Financial Advisor for Smith Barney. After 9 years at Smith Barney, John continued his focus on investment advising and financial planning when he moved to Paine Weber before he started his own investment advisement firm. In addition to having his General Securities Representative Series 7, General Securities Principal Series 24, Uniform Securities Agent State Law Examination Series 63, Uniform Investment Advisor Law Series 65. John holds his insurance licenses for life and health (including Long Term Care) insurance in NJ, NY and CT. John also taught Introduction to Investing at The New School in NYC from 1986-1995. As a Certified Financial Planner™ (CFP®), John continues to expand his learning to help his clients navigate through complex financial environments. John works primarily with individual investors and small business owners, including managing their pension plan. John also provides Social Security Retirement Income Planning for clients helping them make informed decisions to build a better retirement strategy. John is committed to long-term client relationships and through financial planning helps his clients with retirement, education, estate and insurance planning strategies. John is an experienced money manager with more than 30 years’ experience. John lives in Cranford with his sweetheart Veronica. They have 5 children and 1 dog. John is an avid sports fan, loves to travel, and enjoys golf and good times with family and friends. He also enjoys gardening, growing pumpkins and plays the role of the local beekeeper. John is also a Contact We Care crisis line volunteer, servicing callers in need throughout New Jersey, as well as a St. Barnabas Hospice Volunteer, located in Livingston, NJ, in memory of his late mother who was a hospice nurse. Jamie Miller joined Garretson Financial in 2008. Jamie has over nineteen years of experience in the financial services industry. He holds a B.S. in Finance from Fairfield University’s Dolan School of Business and is a member of the National Financial Aid Practitioners Alliance. Jamie’s previously experience includes working as a Senior Partner with Van Der Moolen Specialists, and as a member of NYSE, where he led his firm’s client relation group, as well as managed trading markets in multiple Fortune 500 Companies. Jamie has been a Managing Director at Garretson Financial for 9 years. He holds his General Securities Representative Series 7, Uniform Securities Agent State Law Examination Series 63 and Uniform Combined State Law Examination Series 66. Jamie and his wife Anne Marie are longtime residents of Cranford where they live with their 3 children, Kelly, Andrew, and Catherine. When not traveling to his children’s schools, Jamie loves to cook, enjoys tennis and golf, and is an avid New York Ranger fan. Jamie is very involved in town and is currently on the Executive Board of the Cranford Area Chamber of Commerce, as well as an active member of the Cranford Rotary. Jamie is a past President and current associate of the Cranford Jaycees. Christine joined Garretson Financial in 2016 as a College Financial Aid Counselor. She completes FAFSA forms and CSS Profiles for clients and counsels them on strategies to increase their students’ college financial aid eligibility. She advises on how to pay for college expenses not covered by financial aid, and to help protect family assets for the future. She also presents free, educational seminars on applying for college aid and the financial aid process. Christine and her husband Patrick are Cranford residents where they live with their four children. In her spare time, Christine enjoys yoga, book club and traveling to visit family. Christine is actively involved with St. Michael's School in Cranford and with various committees of St. Michael's Church, including the MOM ministry, Baptism Preparation, and Hospitality Committee. She is a board member for Raphael's Life House and is a Leader for her daughter's Girl Scout Troop. Christine is not a registered representative of The Investment Center, Inc.
Marie Mayer is the Office Manager at Garretson Financial. She also assists our investment clients with their college financial aid process. She knows how important good customer service is to our busy clients and is committed to providing great service to every client. Please let Marie know how she can assist you. A member of the Garretson Financial team since 2005, Marie is our Office Manager. She holds a B.S. in Accounting from Bloomsburg University of Pennsylvania and is a former Budget Manager with Macy’s Northeast in Newark, NJ. After the birth of her two children Marie took a break from the corporate world. For five years during her corporate hiatus, Marie operated her own direct sales business. Most recently, she has experience as a private Financial Administrator. Having been involved in several volunteer organizations, Marie has received the Pride in Cranford Award recognizing her commitment to community service. She is currently active in the Cranford Woman’s Club. Marie, and her husband, Mark, have two grown sons, Collin and Evan. They live in Cranford with their lovable dog, Sugar. Marie keeps busy with her family, loves to cook, enjoys many types of crafts, needlework, and home improvement. Marie is not a registered representative of The Investment Center, Inc.
Gina Tipton joined Garretson Financial in 2012. Gina is a graduate of Montclair State University with a B.S. in Business Administration with a Concentration in Marketing. Gina began her career as a 6th grade teacher. After one year of teaching, Gina joined the Financial Services Industry. She began her financial career at The Copeland Companies, specializing in Retirement Plan communications. After 9 years at Copeland, Gina continued her focus on participant communications when she went to work for Prudential Retirement. Prior to joining Garretson, Gina was the Vice President of Participant Communications and Education at Prudential. Gina has over twenty years of experience in financial services marketing and communications. Gina is also the owner of Cranford.com. She works closely with business leaders to provide current township information and resources to residents and to help promote local businesses and events. In addition, she has helped build and maintain a large marketing presence for Cranford Township, the Cranford Chamber of Commerce and local businesses through print, email, online and social media. Gina lives in Cranford with her husband Bill and their twin boys, Ben and Sam, as well as their dog Barney. Gina loves being a hockey mom, loves to travel and enjoys good times with family and friends. Gina is very involved in Town as the owner of Cranford.com and sits on the Board of Directors for the Cranford Area Chamber of Commerce. She has received the Chamber's President's Award recognizing her commitment to the Community.